I could not find any solution for this. Any ideas? 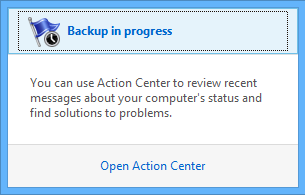 You should be able to find the Windows Backup activity and stop/disable/remove it in the Windows Task Scheduler. The scheduled task has probably survived from before upgrading to 8.1. Restore files from Windows Vista/7 backup to Windows 8.1?